Having read the first three Sherlock Holmes books last year, I returned to Arthur Conan Doyle this summer for the second volume of the collected works, as I re-read them all to make sure I've caught everything. This one comprises two books, the first a short story collection, Memoirs of Sherlock Holmes, with a couple of well-known stories like "The Crooked Man" but for the most part they're not mysteries that have seen frequent adaptation ("The Yellow Face" is quite spectacularly racist, although not in the way the title might suggest, so it's not the basis for that episode of Sherlock.) 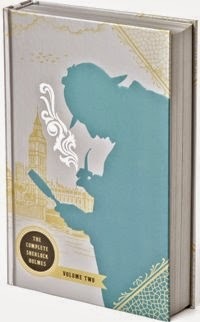 This is the collection that ends with Sherlock Holmes' apparent death, and there's moments in the stories leading up to it that feel like Conan Doyle was tiring of his famous creation - but then "The Final Problem" actually leaves things pretty open-ended to allow the author to resurrect the detective. He doesn't technically do that in the next book, as The Hound of the Baskervilles is a flashback to before Holmes' encounter with Moriarty. It's the most famous Holmes novel but deservedly so, its spoookiness something that's become associated with the whole series, and I found it fun to re-read despite its familiarity.